After creating waves in the Indian smartphone market for best-in-class features coupled with revolutionary Artificial Intelligence, the Honor View 10 is all set to hit the Indian market via Amazon.in starting Sunday midnight January 08 via open sale model. Available at attractive price of INR 29,999, the Honor View 10 is powered by the extremely powerful Kirin 970 chipsets which include an onboard Neural-Network Processing Unit (NPU) that understands what you do with your phone and optimizes the phone system to suit the way you use your phone thus enhancing the consumer experience. From recognizing different scenes to make your photos better to optimizing, AI speeds up operations, improves ease-of-use and delivers the best results. Honor View 10 will be available with Rs.1500 Instant discount Offer for ICICI Bank Credit Card users, till 10thJanuary, 2018 with terms and conditions. No Cost EMI Scheme with Terms & Conditions will be applied only for 08th January, 2018. Consumers besides getting their hands on a true AI intelligent phone, can enjoy additional offers from ICICI and Low Cost EMI. 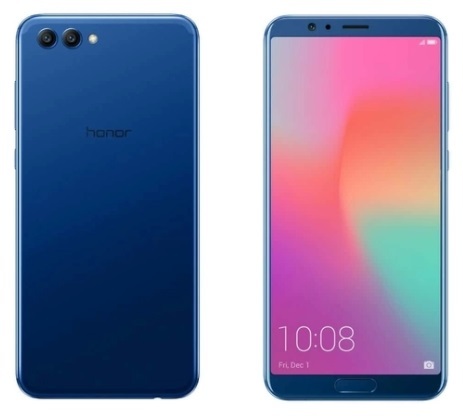 The Honor View 10 will come with 6RAM with 128GB ROM with expandable storage upto 256GB and will be available in midnight black and navy blue. Users can register for the open sale by going to www.amazon.in/honorview10. The device will be bundled with a 9v-2Ampere Quick charger, standard USB-C cable and a protective case and pre-attached screen-guard for additional peace of mind. The Honor View 10 will come with standard 12 month service warranty along with Honor’s best-in-class after sale facilities.